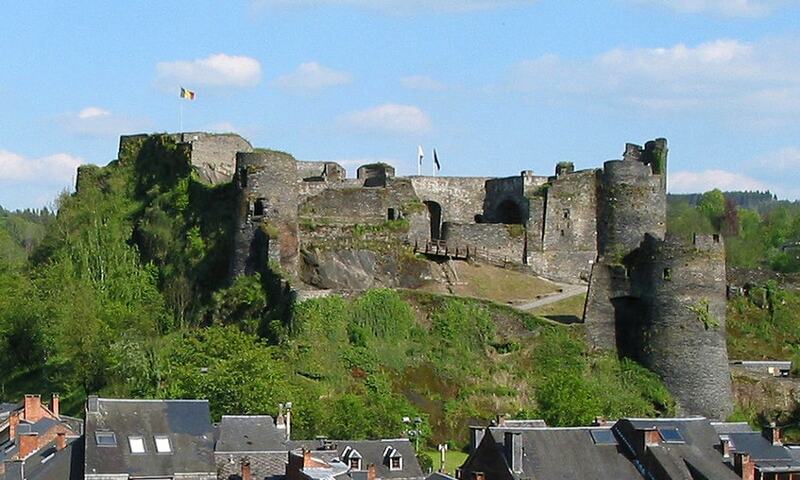 The Feudal Castle of La Roche-en-Ardenne dominates the valley of the river Ourthe and the town of La Roche-en-Ardenne. The catsle was built on a large interlocking of pieces of local shale, held together by a mixture of chalk and sand. The fortification assumed a strategic role during the 13th and 14th centuries. It was captured in 1681 by the French king Louis XIV and later fell into ruins. It served as a source of building materials for the local inhabitants of La Roche throughout the previous century.